As dog owners, we have a huge responsibility. Just like little babies, our furry friends are totally reliant and trusting in us. Their health largely depends on our ability to make the best dog food choices. Choosing the right food for your pet can be very confusing. There are many different brands of pet foods available...All dog foods claim to be “premium” and “all natural,” but, with very few regulations on what it takes to meet these qualifications, many of these claims are little more than flashy marketing gimmicks and false advertising. Consumer Affairs compared these dog foods by using ratings and consumer reviews in their official Consumer Affairs buyers guide. Below are brands of dog food with ratings, comments from the manufacturer and literally thousands of comments from customers. 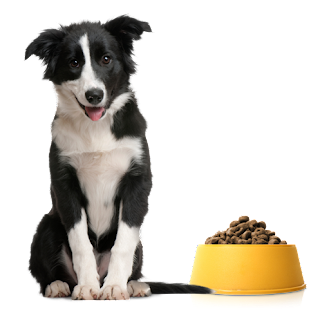 Canidae features dry and wet dog food made from lamb, salmon, bison or duck. All kibbles are finished with HealthPLUS Solutions: a mixture of probiotics, antioxidants and healthy omega oils for optimal health and nutrition. Natural Balance features a wide range of dog foods, from the high-protein Wild Pursuit range that combines three sources of meat, to the vegetarian range created from a plethora of nutritional grain and vegetables. Nutro pet foods were developed for cats and dogs using all-natural ingredients. Dog and cat food brands manufactured by Nutro include Greenies, Max Cat, Perfect Portions, Rotations and Farm's Harvest. Beneful dog food is available in dry, wet, or treat forms. Kibble is made with beef or chicken, while the wet Chopped Blends formulas are made with beef, chicken, lamb, turkey, salmon or chicken liver. Blue Buffalo pet foods are made for both cats and dogs in all-natural formulas. Dry kibble, wet canned foods and treat pouches are available in a variety of special lines, such as Freedom-Grain-Free, and Wilderness-Meat-Rich. Purina pet foods are distributed through a variety of brands, including Purina ONE, Friskies, Fancy Feast, Cat Chow, Kitten Chow, and Beneful. These dry foods, wet foods and treats are for dogs and cats. Pedigree makes a range of dog food that is categorized by life stage, size and age. Their dry foods, wet foods and treats are specially formulated to help ease hip and joint pain, oral problems, weight issues and food allergies. Iams features a supply of dog foods appropriate for all life stages. Varieties include Grain Free Naturals, Healthy Naturals and Adult Chunks with beef. Several wet and dry blends are formulated for special needs dogs. Ol Roy pet foods are formulated to give dogs a complete, balanced and nutritious meal. The meaty flavor of the kibble is enticing, while the 23 vitamins work to keep dogs healthy and full of energy. Kirkland Signature Pet Foods are made with either chicken or lamb or brown rice and vegetables. Dry foods have a guaranteed minimum of 26-32% protein, except for weight loss formulas which contain less to keep calories low.